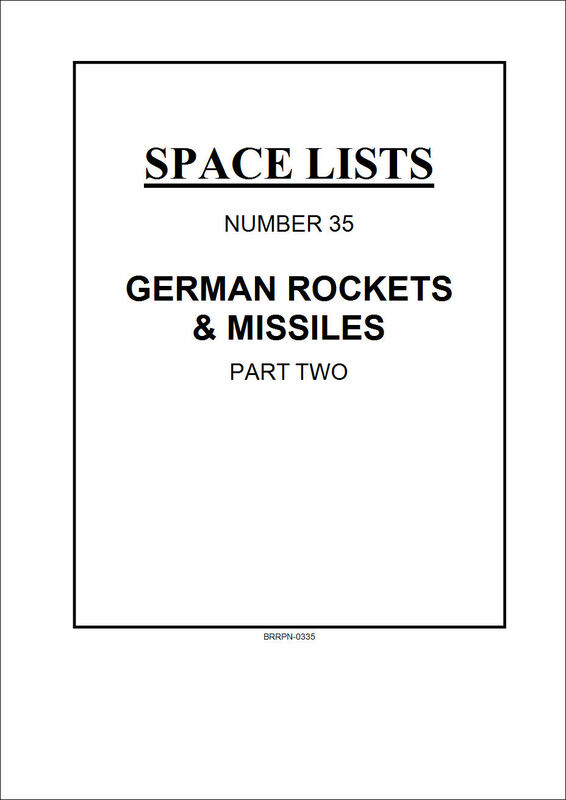 This issue of Space Lists from 2000 details all the launches of Karl Bossart's incredible missile, developed as the USA's first ICBM. It combined normal rocket engines with extremely high mass ratio, so that it was almost a single-stage-to-orbit rocket. First seeing service as an ICBM, by 1962 it launched John Glenn into orbit in his one tonne Mercury capsule. Just by dropping off two of its three engines after two minutes, it could reach about 17,500mph. 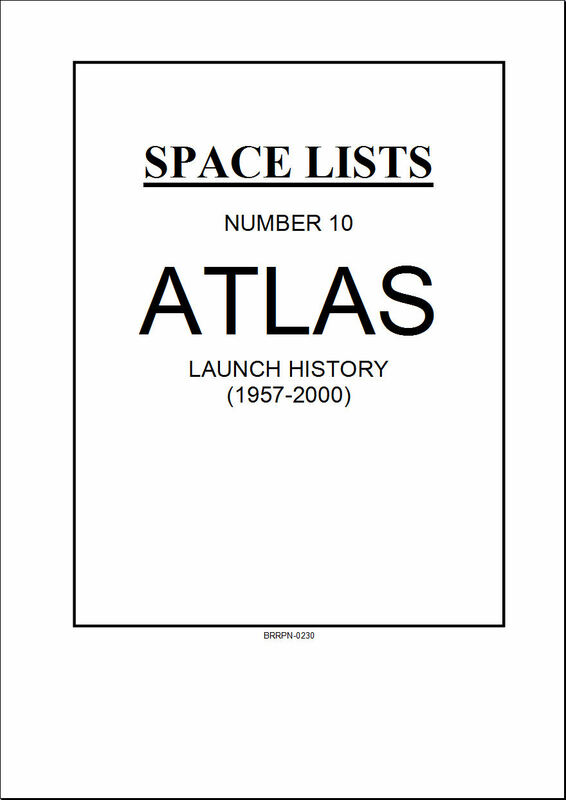 This edition documents all launches of this missile and satellite launchers, including the latest versions which are nothing like this wonderful original piece of engineering. 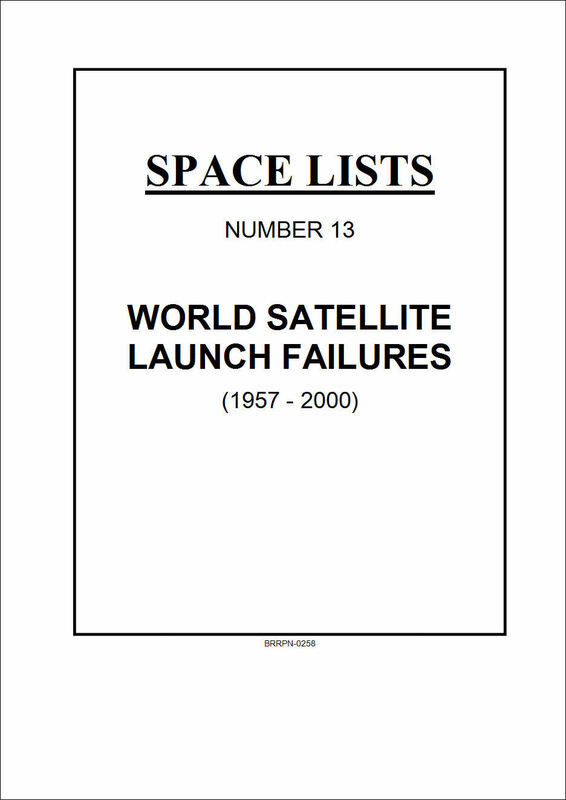 Getting a multi-stage rocket to orbit a satellite has always been difficult, and this edition details the many failures to achieve that goal. Some rockets have blown up on the pad, others have been just a few hundreds of miles per hour short of the target velocity. There are some other details of unusual launches, such as manned flights, and also pieces of rocket falling on land where they shouldn't have, such as the Soviet family who had a nose cone land in their back garden, and many other incidents. 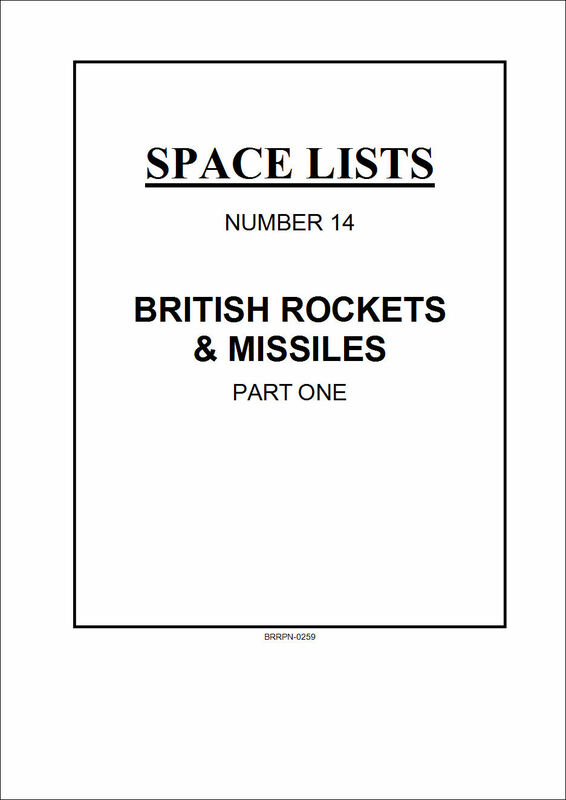 According to lazy popular journalism, every British rocket fails, or cost many millions of wasted pounds. In actual fact, since the 1930s British rocketry has shown a rich and varied strand of innovation, with probably more success than pure luck would account for. These two volumes tell a chronological story of many defence and space projects carried out by a small band of dedicated scientists and technologists for over fifty years. However, eventually the politicians believed the press joking and almost all projects are now cancelled and Britain pays inflated prices for foreign technology. 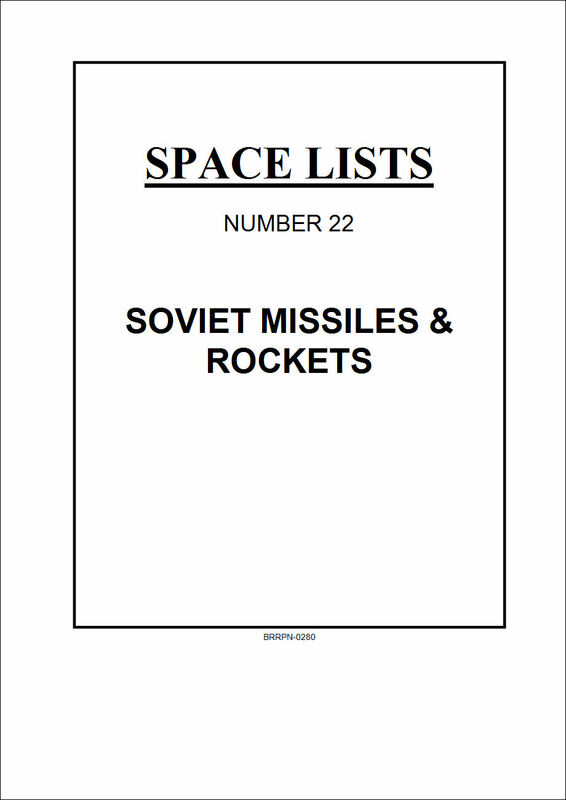 Detailing a whole super-power's missiles would be a huge project, but this edition is useful as an "identifying tool" to help tell the story of the Soviet Union's missile series, from air-to-air to strategic surface-to-surface, and uses all the various designations for these types. From the 1950s, when strange photos appeared of "Russian" missiles, to the privatised systems, now with clever product names, the whole range of missiles from the 1940s onward are listed. With typically a hundred satellite launches a year, many with multiple satellites carried, it is not surprising to find that thousands of satellites have been launched. 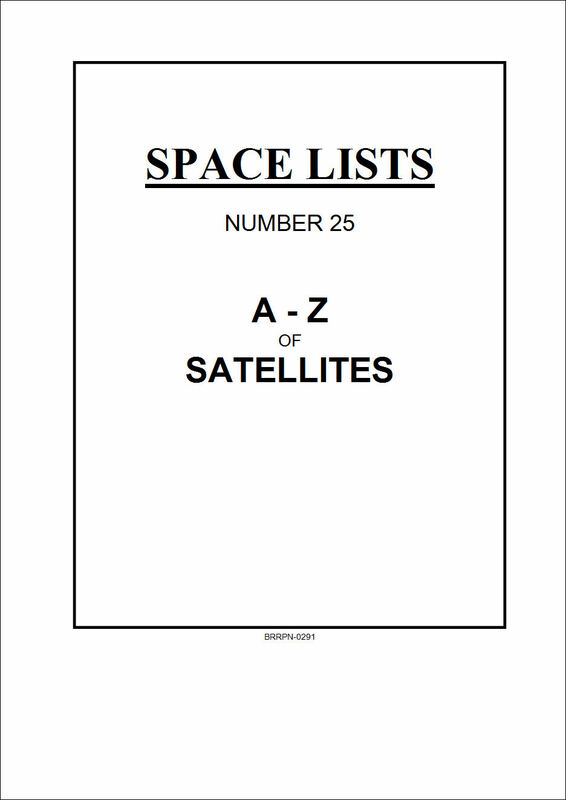 This alphabetical guide explains many of the strange acronyms found in this area of technology, and goes some way to explain the multitude of purposes for this whole field of scientific and military area of research. 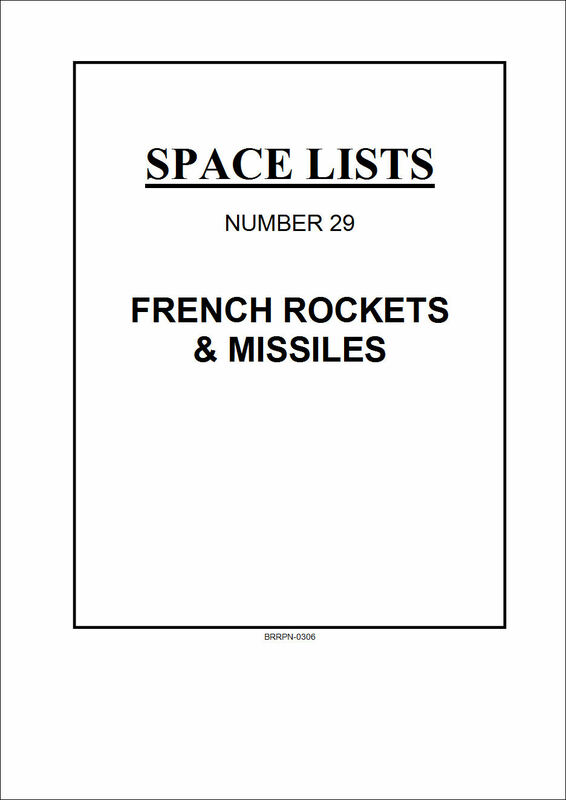 It will come as a surprise to many people that France has had such a diverse range of technological rocket research that it has excelled in nearly all areas of rocket and missile systems. It now not only has its own submarine-based missile system, but land-based silo-launched strategic missiles. This does not even include excellence in air-to-air, anti-tank and surface-to-air missiles, or satellite launch vehicles, and impressive exports and huge employment in this field. It fronted the hugely successful Ariane satellite launcher, when Britain believed its joking journalists and kept Britain out of such commercial success. 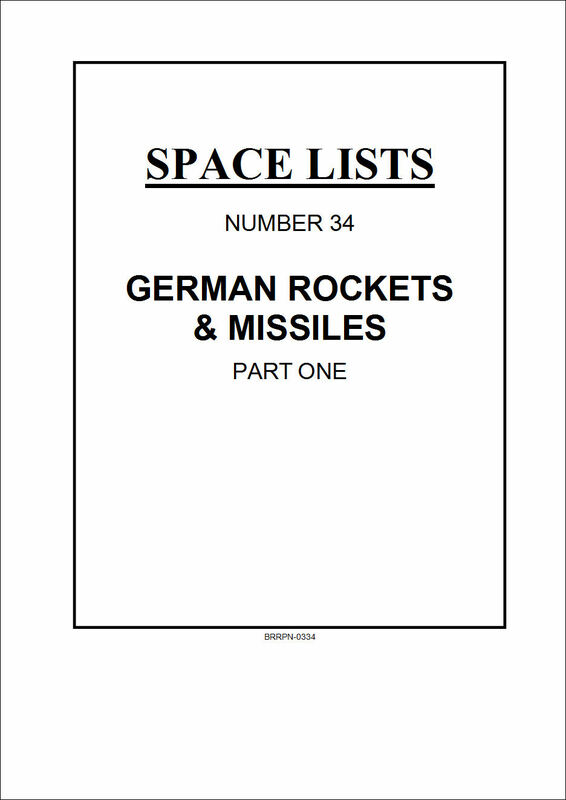 Most people realise that many of the rocket projects of the 1940s, 1950s and after, derived from technologies developed in Germany between 1930 and 1945, but few know the full extent of this German effort. These two volumes cover the whole story of the one-hundred-plus projects ranging from 2-inch aircraft rockets to manned interceptors shot miles into the sky to intercept incoming bomber streams sent in by the Allies. Both solid and liquid propellant rockets are detailed chronologically, plus other sections of special areas, people, and the propellants used. Many of these propellants were particularly interesting as being either incredibly toxic or corrosive, or both! The huge turning point was the V-2 with its 25 tonne thrust engine, then in a series of slight modifications after WW2 its use in a group of four in the US Navaho booster, and in five groups of four in the Soviet "Sapwood" ICBM, both in the 1950s, continuing that extraordinary lineage. 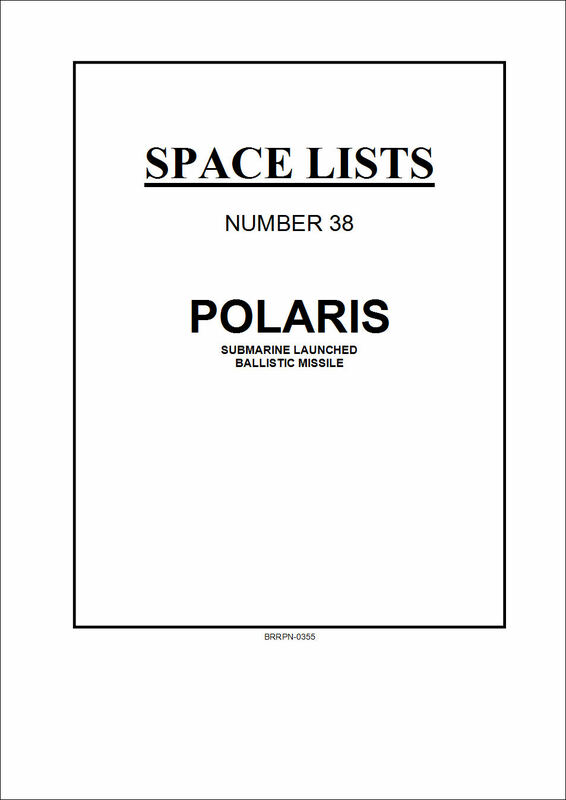 The story of the US Polaris submarine-launched missile is detailed here in this edition, beginning with the original proof-of-concept tests in the 1950s then has all the development and operational tests listed through until the Poseidon, then Trident systems took over later. Some of the early testing was spectacular, and is a testament to maintaining a strict line on mass ratio and perfecting solid propellant technologies which are still a force to be reckoned with today. 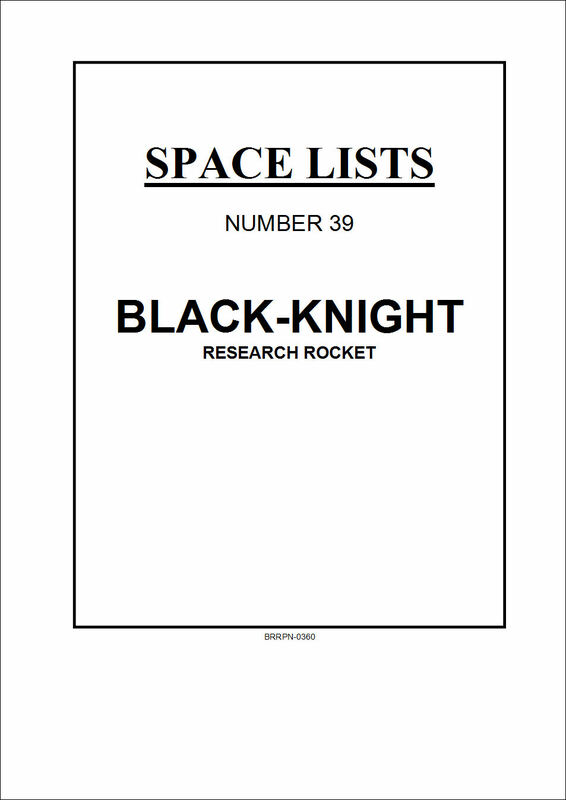 This last edition of the original publication run of the magazine, details the British Black-Knight research rocket with launches beginning in 1958. At this time very little was known about the re-entry sequence of ballistic missiles, and this rocket was dedicated to explore the technology, with firings being made from Woomera, Australia. Much of this work was ultra secret, but the accumulation of public press reports, aviation journal comment, and, just as importantly, adverts produced by firms supplying parts for the project, are brought together to provide an almost unique picture of a remarkable rocket. Each of the 22 launches are reported in a way that makes you feel that you were actually there watching the firing and the re-entry.